​The Rebecca Schoneveld Bride is a woman who loves to move freely, laugh easily, and love honestly. Rebecca's designs are fueled by a sense of restrained romanticism and elegant minimalism, as well as by her modern Brooklyn clientele. 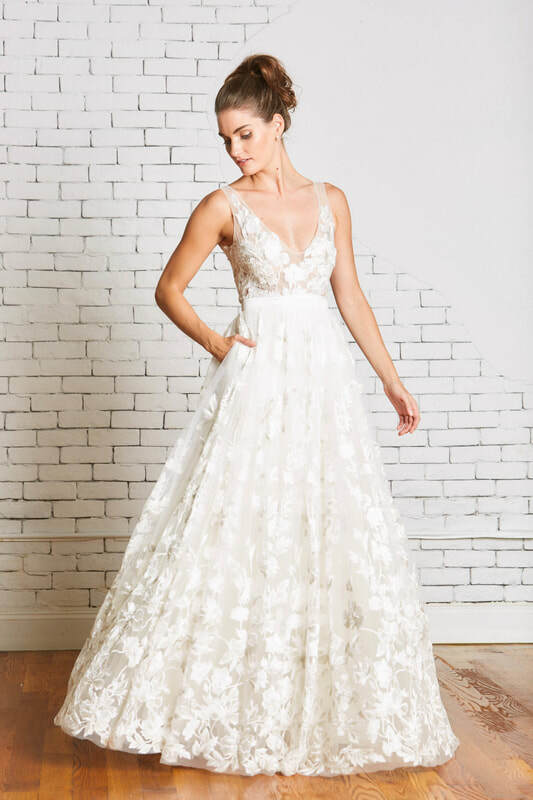 Each gown is designed with timeless, intelligent details that deftly enhance a woman’s natural beauty, with a conscious effort made to not overwhelm the wearer with too much “fashion” but rather to allow her personality to fully shine.